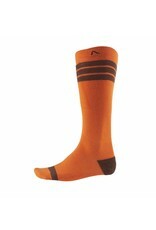 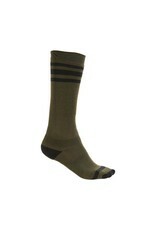 If a 1970s tube sock and a modern, high-performance ski sock had an offspring, it’d be the Irwin Sock. 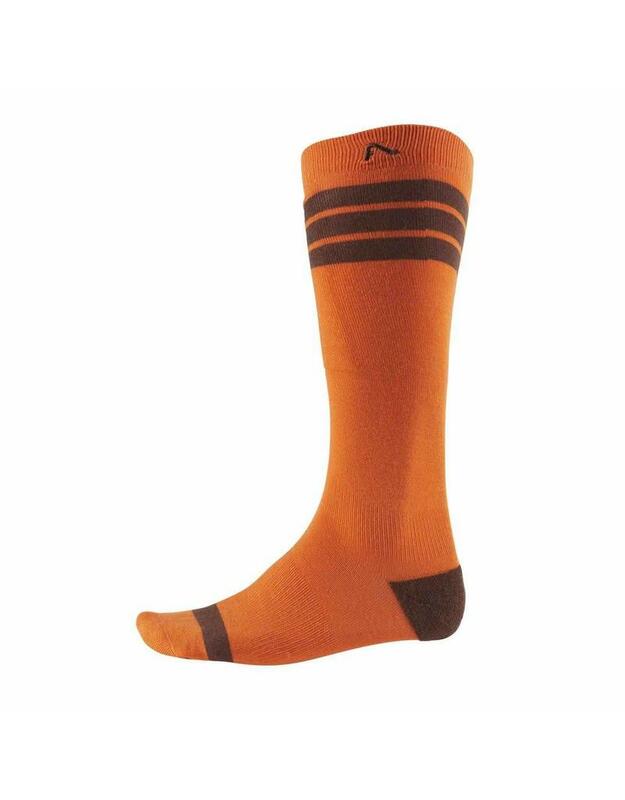 This ski sock is thick and warm enough to keep your toes from turning to ice cubes in your boots, but not so thick it cramps your foot or affects the precise fit of your boot. 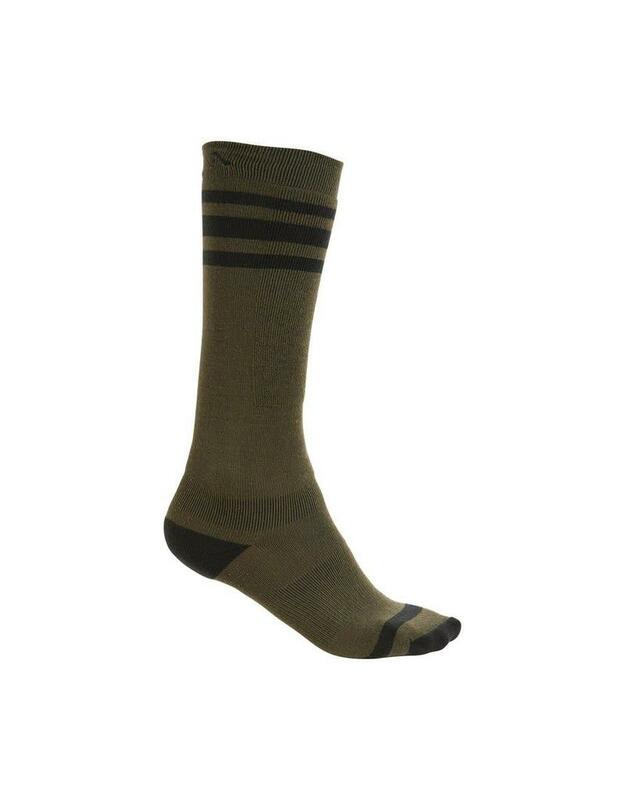 Made from an acrylic blend with two strategic compression zones to increase circulation and padding on the shin to keep you locked in the front seat, it’s a sock built for the mountain but stylish enough for après ski.